Can the Chicago Bears get a win over the 1-10 San Francisco 49ers? We weren't going to drop the ball on our listeners and skip a week just because the Bears are 2-9! On this week's episode, we recap Sunday's loss to the Titans (3:48) and come up with some ways to avoid drops in the future. There's only one team in the NFC worse than the Bears, and we learned about that team, the 49ers, by talking to Kevin Lynch (@klynch49) of sfgate.com. Lynch discussed why Colin Kaepernick may be the team's answer at QB (8:54) and how fans feel about ... See More him in SF (21:07). 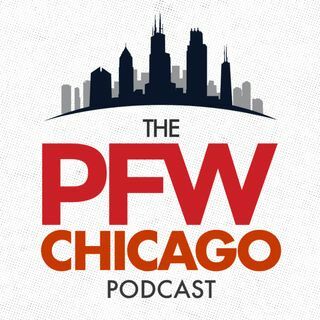 Kevin and John wrap up the show by discussing Matt Barkley (29:52) and then the guys make their picks — both TV shows to watch and Bears-49ers (33:22).